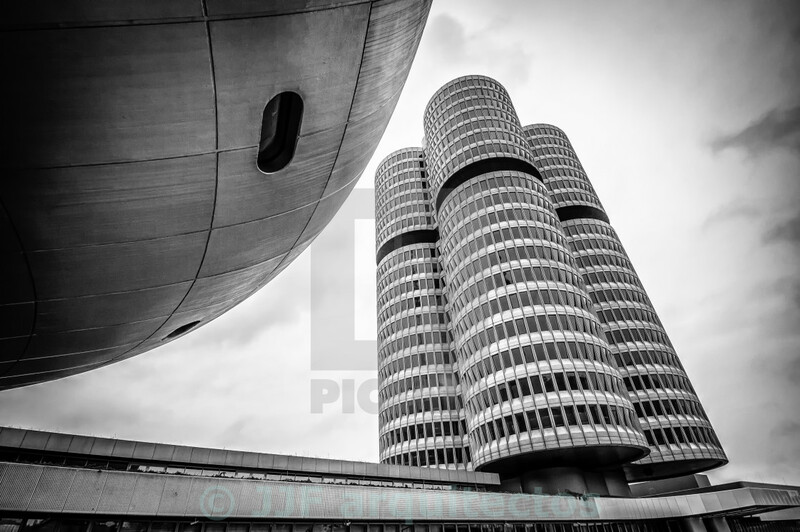 BMW Headquarters in Munich. Designed by Coop Himmelblau Architects. Low angle view a rainy day.